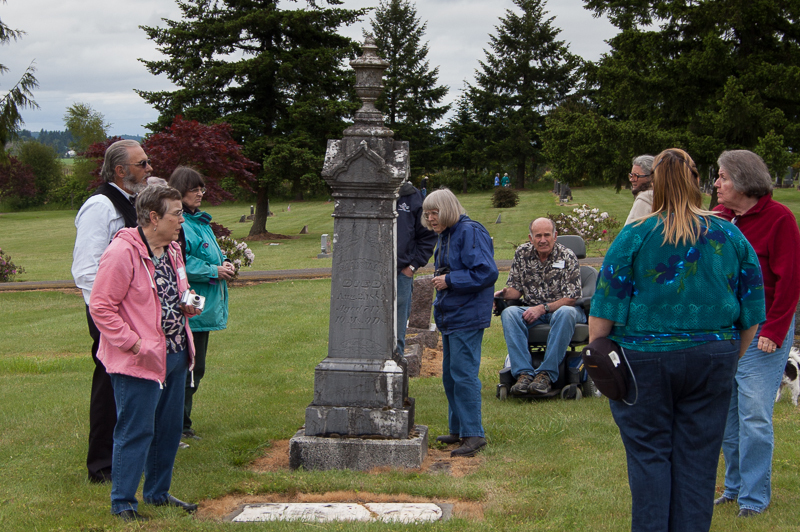 The May 18th Camp Adair Tour presented in conjunction with the Benton County Historic Preservation Month was a great success. 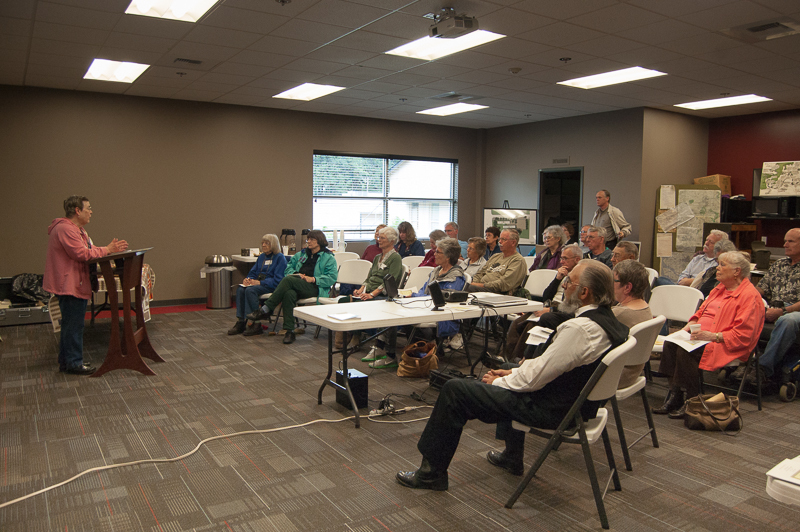 Judy Rycraft Juntunen shared some interesting information from her wonderful her book The Lives of the Kalapouya. The rain let up just enough for the tour to the old New Smith and New English Cemeteries. 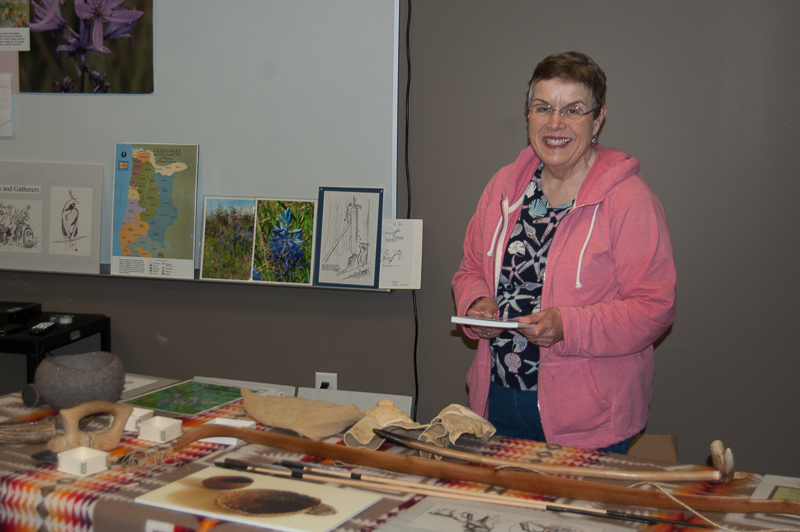 Judi Juntenen, getting her displays ready for the program.